Your main purpose of visiting Koh Samet may be to do little else except sunbathe, there might come a moment when you may feel the need for a but of activity. Here are some ideas to keep you busy when you aren’t on the beach. Given its size, Koh Samet can be explored on foot, on a bicycle or on a scooter. It’s a little too large to be easily explored on foot and the narrow roads mean that you’ll need to take care if you are racing around on a scooter. But hiring a bicycle either from your resort or one of the many rental shops is a great way to get around and enjoy the island to the fullest. You’ll discover, viewpoints, secluded beaches and the dense forest at the southern tip of Koh Samet. 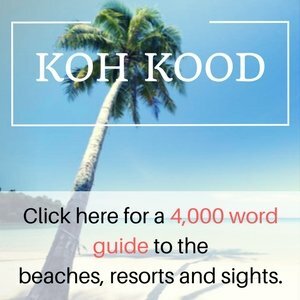 Koh Samet has a variety of luxurious spas and massage centres willing to pamper and treat you as if you were a movie star. Ideal for helping to ease your body of any aches and pains, and giving you the sense of feeling and looking great. Most of the top resorts on the island allow you to stay in 5 star comfort whilst relaxing in the serenity of there Spa facilities. Treatments available include Steam baths, herbal treatment, mud baths, facials, body wraps and aromatherapy. For any kind of head to toe massage you are never in short supply of options regardless of where you stay in Thailand and Koh Samet is no different. Indulge in a soothing foot massage after a long day of sightseeing or if you have had an action packed day of adventure treat yourself to a full body massage so you are fully recharged for the remainder of your holiday. Treatments from as little as 30 minutes to 2 hours are available and the cost is a fraction of what you would pay in the resort spas on the island or anywhere else in the world. You can get a massage whilst you relax under the sun by the beach. Masseurs regularly patrol the beach each day in search of people looking to unwind that little bit more from the comfort of there sun lounger. A statue of the Mermaid and Prince can be found on the rocks between Ao Hin Khok and Hat Sai Kaew. This is in Honour of Sunthorn Phu’s, Phra Aphaimani. ( famous Thai poem. ) Where a Mermaid aids a Prince to escape to Koh Samet from a giant lovesick Female. The statue of the giant female is located at Nadan pier. The best way to visit the hidden coves and beaches around Koh Samet is by taking a boat trip. Trips can be arranged with one of the main speedboat operators found around Hat Sai Kaew or Vong Duan beach. Ensure you agree on price before taking a trip and most will include snorkeling, a barbecue lunch and trips to the nearby islands of Koh Kham, Koh Kudi, Ko Kruai and Koh Pai Tin. The popular beach destinations of Hat Sai Kaew and Ao Vong Duan are the best places to go if you love the thrill of jet skiing, wake boarding or parasailing. Be warned though as Jet ski scams are becoming more common in Thailand. Don’t be surprised if an exaggerated bill is given to you when returning the Jet Ski for a scratch or mysterious mechanical issue. Discover the joys of Ko Samet at your own pace while paddling between it’s beautiful beaches on a Kayak. Watch the sunset whilst you paddle around Koh Samet’s magnificent surroundings. Fancy yourself as the next Rex Hunt? Then why not try and land that big game fish in the deep sea waters around Koh Samet. With a richness of marine life just a short distance away reel in that huge catch and be the envy of all your friends back home. Koh Samet is the ideal place to learn to dive, with it’s crystal clear blue waters and pristine coral reefs around some of the nearby islands in Khao Laem Ya-Mu Ko Samet National Park you are open to a magical world of marine life. Dive courses tend to be on the small side compared to popular diving locations such as Ko Tao, so you benefit from almost a one on one tuition with your instructor. Depths range from 5m metres to 25m and water temperatures are around 28 degrees. Expect to see Stingrays, Pufferfish, Barracuda and the occasional Black Tip Reef Shark. There only a handful of dive operators around the island with UDI’s being one of the more popular. This is a great video that shows how to travel from Pattaya to Ban Phe and then take the boat to Koh Samet and also how to get around the numerous sights on the island.